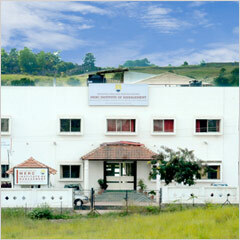 Name of Organisation running the institute Sinhgad Technical Education Society. Vision vision is to be referring to the shaping up of the student to develop the competency and capability either as an professional (to join and help an organization to grow) or as an entrepreneur (to establish and grow one’s own organization). Mission To value based Management Institute, which aims to Mould individuals with a global outlook and industry readiness,Foster decision making, leadership and entrepreneurial skills through innovative programs and continuous learning, Give equal emphasis to instructional excellence, scholarly activities and professional development of faculty through creating congenial environment for practice based research. Specializations Offered Logistic management, Finance, Marketing, HR , operation. Rs 4,00,000/- for 2 years .